I'm a book nerd, if we are FB friends you know this, I just put out an SOS for new book recommendations! 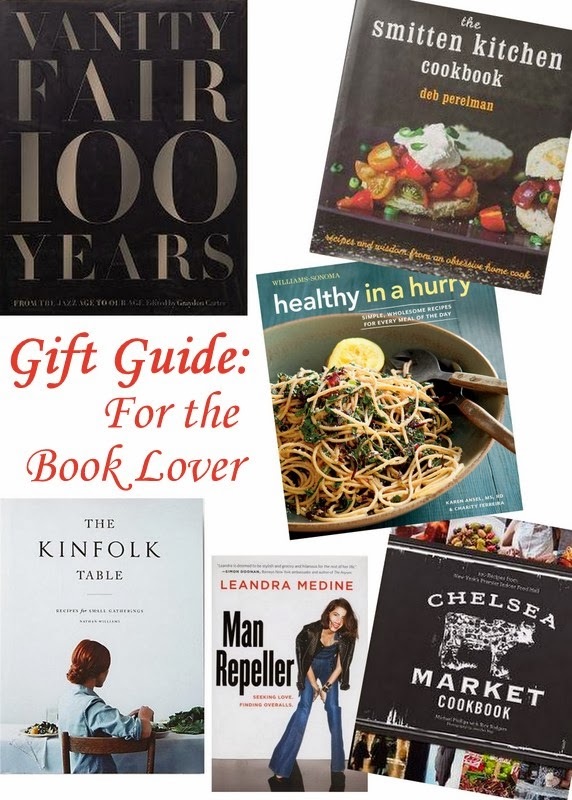 But I also think coffee table books or cook books or just great books are amazing gifts! The more you know someone the more you know what'd they love! Any books out there that you love? Reading, picture, whatever - share in the comments! Getting up and seeing a blog post every morning puts a smile on Santas face ! I need to look into some of these! I'm trying to buy books here and there so I'll have some waiting for me once the holidays are over and things calm down. I love the Smitten Kitchen cookbook ... so good! I just started reading Eleanor & Park and seriously can't put it down, super cute! I gave the Smitten Kitchen book last year to a friend. Funny story- a few of us had the same idea, so that same friend ended up receiving 3 copies of that cookbook! If you're looking for books to read, I'd recommend Life After Life, Eleanor & Park (seconding Amanda above! ), The Girl You Left Behind and Americanah if you haven't already read them! I am going to check these out!